With some help from +Jeffro Johnson – lots of help – I now have a PERL script that will look at the RSS feeds for blogs and pull out the GURPS posts, and spit ’em out formatted all nice and proper. If you hear that in Nathan Fillion’s voice, well, you’re not wrong about that. How will it do this? It will look for the GURPS tag that you will put on GURPS-related posts. Either a name or pseudonym, but keep it classy. If I can’t read your pseudonym to my daughter (she’s 6), it won’t go on the list. This is important, because it’s how we’ll scrape your blog for keyed posts. That means that you do have to tag your posts GURPS. It also means you probably have to figure out how to enable RSS in Blogger, WordPress, or whatever you use. You will need to know if you’re using RSS or Atom, but we can figure that out if it doesn’t work – that’s why the email to gurpsday@gmail.com is so important. The categories may be case-sensitive, so if you use gurps instead of GURPS, or GuRPs for some unknown reason, that needs to be included. If you use your own thing, you’ll have to find me a working RSS feed. If you are doing your own thing, presumably you know how to get it! And again: tags, labels, categories are may be, case-sensitive, so please be sure your RSS link has the right case for your blog. Use your blog editor’s tag or category feature to label your posts with the GURPS tag. Both Blogger and WordPress allow you to retroactively tag batches of posts with a new label/tag/category with a few mouse clicks.And for the last time: case sensitive! 4. If you’re feeling bold add a summary statement to your post. The key bits are the <!–Precis in the beginning and the –> at the end. Include in your actual post the following line somewhere. Precis - One to three sentences summarizing your post. Second sentence. Third one is the last one. * Or anything else, actually, but the “<!–” version is easier, and seems to work everywhere except LJ. 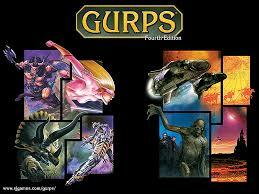 Thursday REALLY IS GURPS Day! Well knock me over with a feather. Something I started doing on a lark almost three full years ago, but kept up pretty steadily, was to declare that Thursday was GURPS Day (‘it must be true, because it rhymes’). Here in the Daily Illuminator is the awesome and flattering (to me) announcement in The Daily Illuminator. GURPS fans know that Thursday is new-release day at Warehouse 23. We don’t release a new digital supplement or Pyramid issue every week — but when we do, it’s on Thursday. That has been a tradition for . . . well, my records show we were doing it in 2009, which means it’s older than that. Here’s a big “Thank you!” to Doug and to all the stalwart GURPS bloggers! So, here’s the trick: if you blog about GURPS, and it doesn’t have to be on Thursday, drop me an email at GURPSDay@gmail.com and include the following information in the body of the email. Just paste in the title of your blog, as you want it to appear. In a double-whammy of cool, an article I started working on years and years ago finally made it into print! You’ve seen outtakes from this one in The Cutting Edge, back in February two years ago. And I’d been working on the project even before then. But The Broken Blade concepts have worked – and worked well – in play for all that time. The overall concept was born from a bit of thought that it should be more than weapon weight that mattered, given the arbitrary sizing and strength of GURPS characters. This article got a lot of “what would Peter do?” treatment, in that I always tried to look for new ways to cut things down to even fewer rules. I didn’t always succeed, and given two years evolution in writing and rules-design thought I might have gone further doing it now. But as always, this sort of thing started with a pretty massive background of calculation. As it turns out, the cube root of weapon weight (the HP of the weapon) with all sorts of fiddle in it wound up almost always equal to the weapon’s ST statistic, and was hardly ever more than a point off even when it was wrong. So boom – simplification. This little system should provide a nice, rare but not unheardof stream of replacement swords if people wander around beating their weapons against armor, thick, scaly hide, or walls and doors. That sort of stuff damages weapons in real life, after all. Anyway, I never could make the stuff in the Cutting Edge (which was the original subject matter of the article) be anything other than a nightmare – I didn’t even have to playtest it to realize that. But the stuff that remained? Solid. “The Broken Blade,” an optional look at weapon quality in GURPS. Douglas H. Cole — author of GURPS Martial Arts: Technical Grappling — shows you how to ramp up the table’s tension with the threat of a shattered sword . 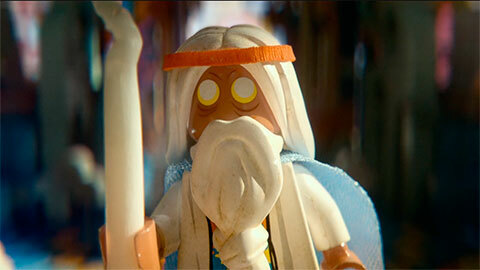 . . and the possibility of repairing it. “Purveyors of the Priceless,” a set of new possibilities that let you explore life as a low-tech trader in GURPS. Now you can barter for some loose gems, use new perks to help you flex your mercantile might, and even have a full-time job as a trader. “Medieval Sea Trade,” this month’s Eidetic Memory offering from GURPS Fourth Editionco-author David Pulver. Sail the oceans in search of cargo and passengers, with a system adapted from GURPS Spaceships 2: Traders, Liners, and Transports. “Knowledge Is Power,” a look at those who kept the Chinese bureaucracy working. Your guide, Matt Riggsby — co-author of GURPS Low-Tech — shows what’s required to enter the halls of power . . . including how to cheat your way in! “The Music Maker,” a primer on the master artisan known as Stradivarius. Discover the history of this unparalleled craftsman (with GURPS stats), revel in the insight about his legendary violins, and unleash the included story possibilities on your heroes. “Tempered Punks,” presenting some ideas for keeping would-be inventors from being tooinnovative in bygone days, from GURPS Crusades co-author Graeme Davis. This issue also unveils a vignette by Pyramid Editor Steven Marsh set in the new Car Warsuniverse, and a Random Thought Table that gives you permission to break reality. This month’sPyramid shines such an inspiring candle on times gone by, you just might say this is anilluminated manuscript! I’ll review the entire thing coming Real Soon Now.